Equally interesting, Phillips was told about a new project to use artificial intelligence to help interpret the imagery from the U-2’s Optical Bar Camera (OBC). On pages 30-31 of DRAGON LADY TODAY, I described why this panoramic wet-film camera was still being used on occasional U-2 missions, despite this digital age. But with such huge area coverage returned by each OBC mission, the image analysts (IAs) are overwhelmed by the task of viewing it all. So the Air Force enlisted the help of engineering students at Stanford University to develop artificial-intelligence tools to identify objects of interest. Now this is not the first time that automatic target recognition has been employed to aid IAs. But the Stanford students must be onto something, since their work will be tested by the Air Force over the coming months, according to Phillips. 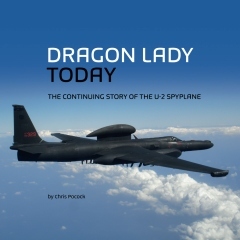 If you want to know what it’s really like to fly the U-2, look no further than this book. Rick Bishop was a Dragon Lady pilot for most of the years between 1979 and 1991, ending as the 99th SRS commander. His love affair with the jet is evident from nearly every one of the 280 pages. Yes, this is a long account – but no U-2 ‘driver’ has ever chronicled his experience for public consumption in such detail before. 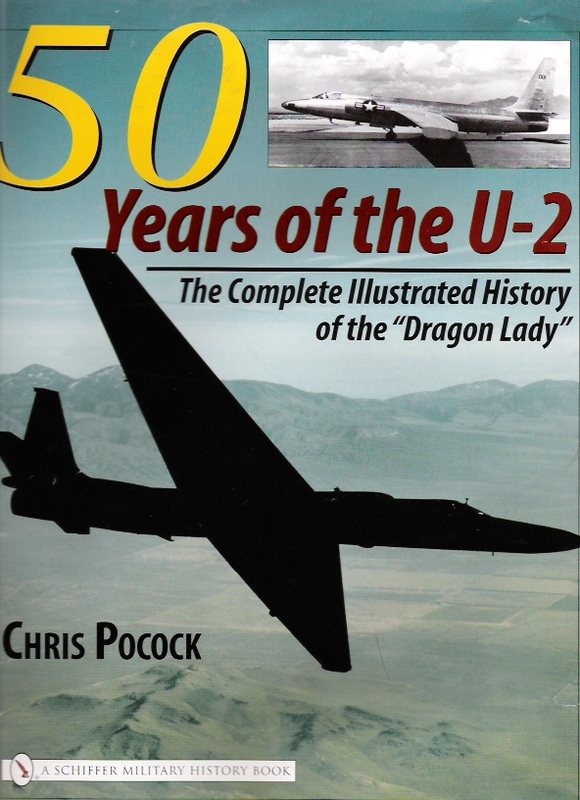 The chapters on how he applied, qualified, and trained to fly “one of the world’s most unconventional flying machines” should surely be required reading, for anyone who aspires to become a U-2 pilot in the future. The demanding nature of the job has been described many times before, not least in my own books. But there is no substitute for a vivid, first-person account. Rick goes on to describe his operational deployments to Korea, Cyprus, the UK, and Florida. Although he is careful not to give away classified information, there are plenty of stories that were new to me. Challenging missions into the Arctic to monitor a Soviet Navy exercise from Mildenhall lasting up to 12 hours, made even more difficult by fog and snow at this British airbase. A ‘hot’ air sampling mission to sniff out the secrets from the last-ever nuclear test in the atmosphere, conducted by the Chinese. A complete generator failure during a functional check flight. And so on.